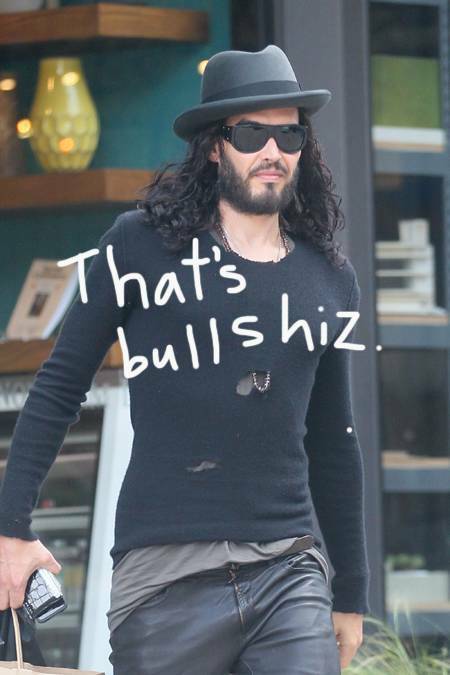 Russell Brand isn't take this lying down. After getting arrested in New Orleans for throwing a paparazzo's iPhone through a window, the actor/comedian plans on fighting the felony charges that could very well be filed against him. Soon after Russell was free on a $5,000 bond, he contacted a high-powered NOLA attorney, Robert Glass because he believes the damage he caused was less than $500 (the minimum amount that makes the crime the felony). He already paid $240 to fix the window and claims the damage to the iPhone was minor. Plus, he wants to make it clear that he was provoked by the photog. Actually, it looks like he has a decent argument on his hands. We don't condone violence or damaging other people's property in any way - and yeah this was a pretty stupid thing to do - but it looks like Russell may have the law on his side this time. What do U think? Does Russell deserve the felony charges? ?